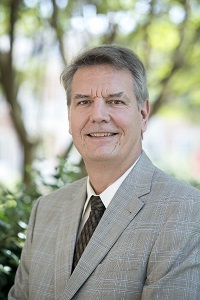 Jonathan Waugh joined Samford University in 2015 as chairman of the Department of Cardiopulmonary Sciences. He has an appointment as a scientist with the UAB Lung Health Center and conducts research in the areas of mechanical ventilation, capnography, high flow therapy and tobacco treatment/prevention. He has served in a variety of academic roles including respiratory therapy program director and director of clinical education and founding director of a Center for Teaching & Learning. He has experience overseeing human research in the hospital and home settings, and conducting medical device testing and cell culture experimentation. He is devoted to helping students develop a Christian mind to discover knowledge and use it rightly for the glory of God. George, R., Cavalcante, R., Caravalho, Jr C., Marques, E., Waugh, J.B., Unlap, M.T. (2015). Use of siRNA molecular beacons to detect and attenuate mycobacterial infection in macrophages. World J Exp Med, 20(5), 164-181. DOI: 10.5493/wjem.v5.i3.164. eCollection 2015. Resuehr, D., Lowman, J.L., Eidson, C., Waugh, J.B. (2014). Working toward a more engaging gross anatomy course for optometry students. Optometric Education, 40(1), 10-13. Restrepo, R.D., Nuccio, P., Spratt, G., Waugh, J.B. (2014). Current applications of capnography in non-intubated patients. Expert Review of Respiratory Medicine, 8(5), 629-639. Invited presentation “Understanding Patient-Ventilator Interaction: The Importance of Identifying Dyssychrony” (Part 2 of the Interpretation of Ventilator Graphics Series) and Tobacco Cessation symposium moderator at the 61st International Congress of the American Association for Respiratory Care, December 2015. Invited presentation “Ventilator Patient Interactions – Using Waveforms,” at 41st Annual Pacific Northwest Regional Respiratory Care Conference and Scientific Assembly, April 13, 2014. Pre-Course workshop “Tobacco Intervention and Cessation Aids” at the International Congress of the American Association for Respiratory Care, Nov. 15, 2013.